A very important city that's definitely not in Metro Detroit but still crucial to the U.S. auto industry is facing the same bankrupt fate as Detroit proper. Flint's been through hard times, but it may be nearing the bottom. Depending on your vantage point, Flint is either the city you know from "Roger & Me," a basketball powerhouse, a murder capital or where MC Breed is from. But since you're here on Jalopnik Detroit, you should know that everything that's happening in Detroit now has been happening in Flint for more than 20 years. 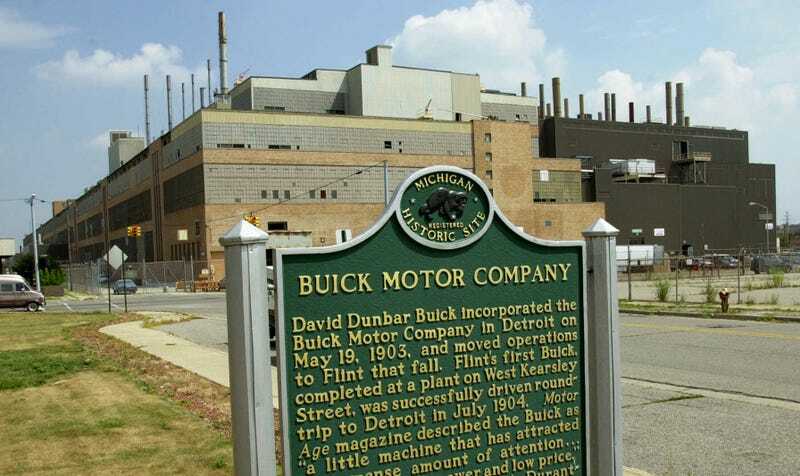 Flint, the ancestral home of General Motors, the former home of Buick City, and still home to a few GM operations, has managed to avoid all-out bankruptcy despite years of financial disorganization. But it is under its second round of state oversight. "The city won't be able to stay solvent at this rate," said Emergency Manager Darnell Earley. "I don't want to see a bankruptcy in the city of Flint, and I'm going to do everything I can to make sure that doesn't happen. If we get no relief from that retiree health care, then we have to start talking about that." The loss of tax revenue has rocked the city's budget. Police and fire departments stand to lose dozens of workers to cuts. The school system has laid off teachers and closed buildings. And residents increasingly complain about a lack of basic public services such as trash pickup and police response. "They're in a very tough bind," said Eric Scorsone, a Michigan State University economist who has closely tracked Flint's financial troubles. "There have been improvements, but bankruptcy is still definitely a scenario." Much like Detroit, Flint has seen improvements downtown and investment from outside interests. And much like Detroit, everyone outside of Detroit isn't quite reaping those same benefits: Crime rates (especially murder) are at dizzying highs, the city has the highest arson rate per capita in the country, and a third of the population lives below the poverty line.